It’s time to show a little hometown love in our Friday’s Find. 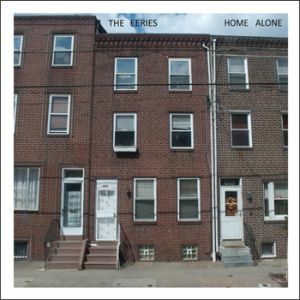 THE EERIES released their debut LP Home Alone last year on Evil Weevil Records, coming an awfully long way since their earliest cassette tapes back in 2010. BUY the LP directly from Evil Weevil Records ! Posted on April 26, 2013 by styrofoamdronePosted in Friday's Find, LP, Reviews, Still Spinnin'Tagged garage rock, pop.